Did you miss the SNAP E&T Webinar? 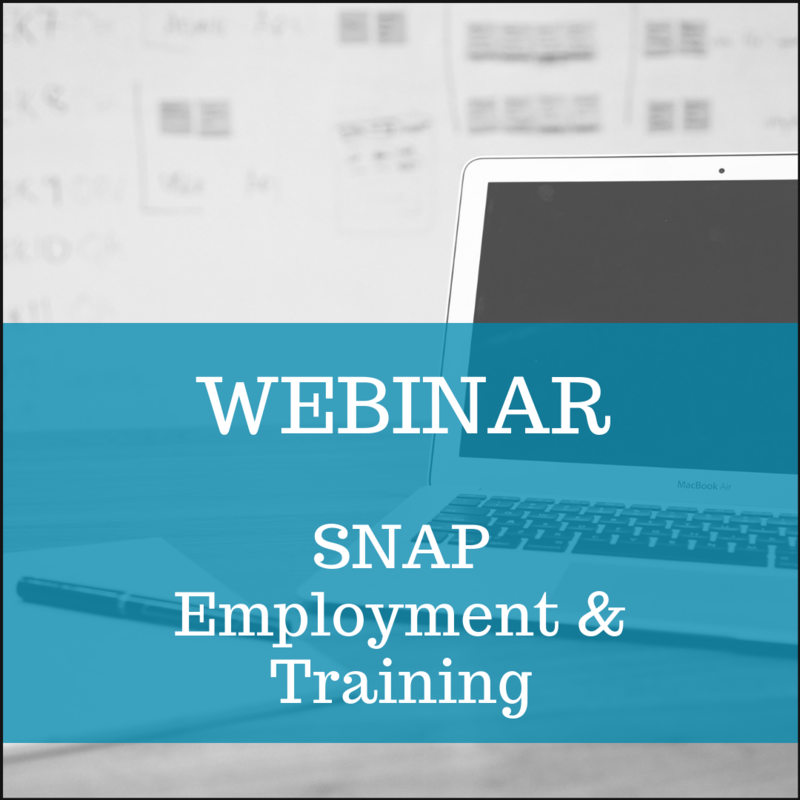 On September 24 the Ohio Workforce Coalition hosted a webinar delivering an Overview of SNAP E&T. The Supplemental Nutrition Assistance Program (SNAP) offers Employment & Training resources for recipients of food support. These resources, known as SNAP E&T vary from county to county and aren’t often integrated into other workforce programs available through TANF or WIOA. The consequence is that Ohio is leaving federal dollars on the table. The recorded webinar includes an update about federal policy considerations, an outline of State of Ohio SNAP activity, and an overview of how to think about SNAP E&T as a local community partner in Ohio.